Friday 29 June DJ Ben Osborne (Noise of Art) with Monkey Fist and Scotch Lobster playing Live in the garden and basement. The Constitution, 42 Saint Pancras’ Way, London, NW1 0QT.7pm – 1am. Free Entry. 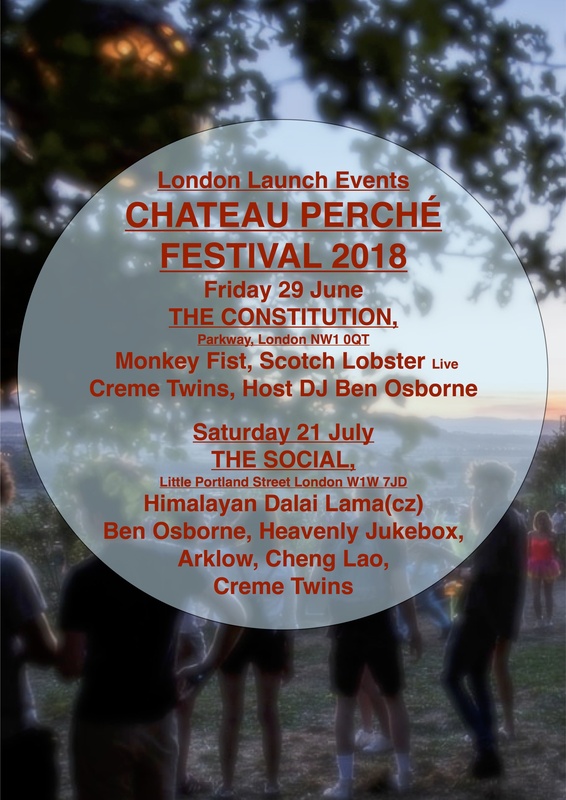 Celebrating Noise of Art’s debut at France’s hottest new festival, Chateau Perché, Camden Underground hosts the first UK Perché launch party with three of the acts playing this year’s festival. New seven piece band Monkey Fist draw comparisons with Pigbag or Hot 8 Brass Band, but with added jazz, dub and electronics. The Techno, dub-step duo Scotch Lobster are one of the few acts in the world to play the Eigenharp, a unique electronic instrument that plays like a wind instrument with strings, keys and percussion built-in. 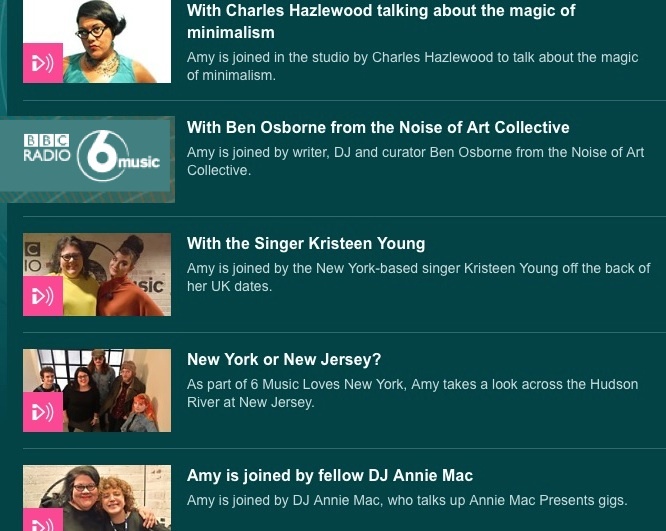 Host DJ Ben Osborne is the founder of Noise of Art. The Guardian describes Noise of Art as an “actual cathedral of sound” and Time Out says his sets span “techno, funk, galactic house, deep down and dirty disco and other dancefloor dynamite”. 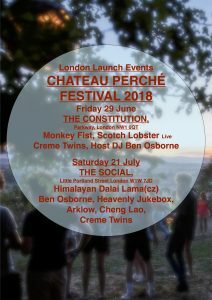 Chateau Perché (the perching castle) Festival is a new annual festival that moves to a different, always beautiful, castle in France every year. 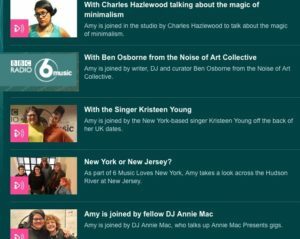 For its fourth year it’s invited Ben Osborne and Noise of Art to do the first UK arena at the festival.